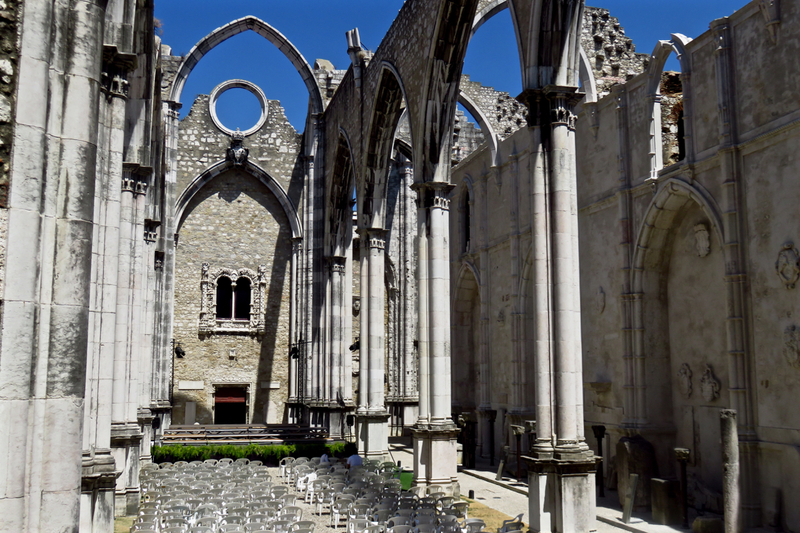 At around 9.30am on 1st November 1755, when most of the population were at Mass, Lisbon was hit by a massive earthquake. The more I hear about this the more it is clear this was one of the most devastating single events in human history. Within a very short time a combination of collapsing buildings, fires, and a tsunami had killed 60,000 people. This building, the former Carmo convent, is one of the few remaining from that date; an attempt was made to rebuild it but not that long afterwards Portugal abolished the monasteries anyway, so it was never finished (or refinished). It now stands as a memorial to 1/11/1755, and the fragility of our existence, or something like that.